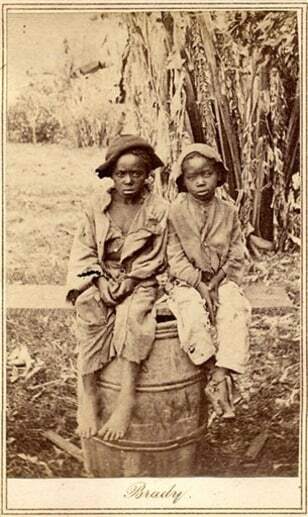 An undated rare photo provided by Keya Morgan, found in a North Carolina attic, depicts two slave children, art historians say. In April, the photo was found at a moving sale in Charlotte, accompanied by a document detailing the sale of John for $1,150 in 1854. The picture was purchased for $30,000 by collector Keya Morgan.